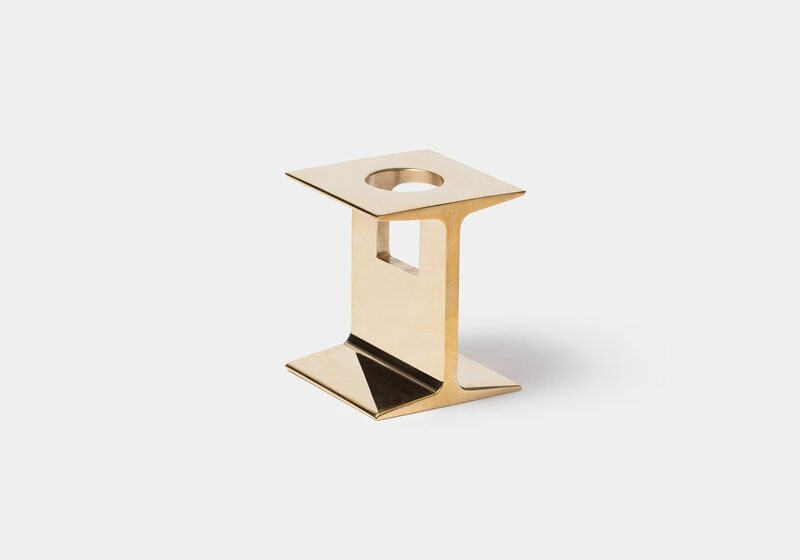 Joist is a utilitarian, yet sophisticated candle holder made from extruded brass. The cross-sectional profile is carefully resized and refined for extrusion. 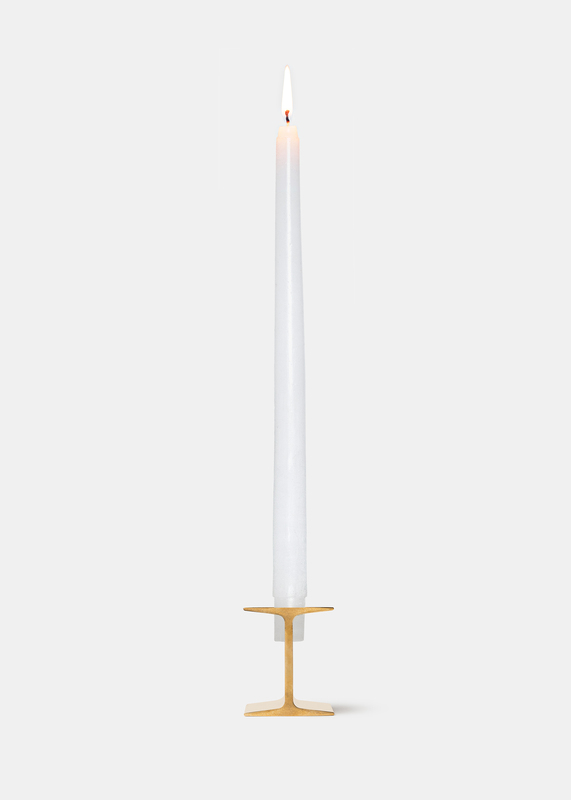 While horizontal flanges work both as a base and as a handle, a vertical web supports the candle in place. 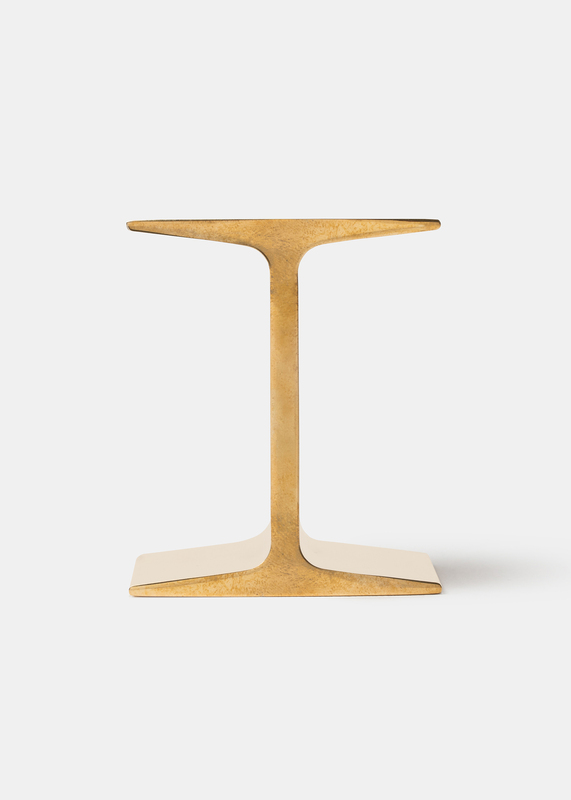 Joist is a series of single candle holder, horizontal candelabra and pen tray.